Quote: NEW ORLEANS – Grammy-winning trumpeter Irvin Mayfield used his star power to raise a lot of money for the New Orleans Public Library system after Hurricane Katrina. But WWL-TV found that he also used it to send some of that money directly into his own pet project, and indirectly into his own pockets. Public records show that in 2012, the library's foundation gave the city's cash-strapped public library system $116,775, a typical annual gift from the earnings off its $3.5 million endowment. But that same year, the foundation also gave $666,000 to the New Orleans Jazz Orchestra for the $10 million New Orleans Jazz Market that ended up opening with fanfare in Central City just last month. And in 2013, the library foundation gave the Jazz Orchestra, or NOJO, $197,000 more. Mayfield and his friend, Ronald Markham, each make six-figure salaries from NOJO, a nonprofit Mayfield founded. At the same time, they were also two of the five members of the library foundation board when it gave the majority of its grant money that year to the Jazz Market project. In 2012, NOJO reported paying two salaries: $148,050 to Mayfield and $100,000 to Markham. It also paid $109,441 to Mayfield's publishing company for "concert productions." "It's a huge conflict of interest," said Tania Tetlow, who preceded Mayfield as chair of both the library system board and the library foundation — and is a former federal prosecutor. "However good an idea it might be, and I don't see how it is, your fiduciary duty to the library foundation is such that you don't vote to send the money somewhere that's going to personally benefit you." ...After Hurricane Katrina, Nagin appointed Mayfield to the city library board and he immediately became chairman. From 2007 to 2011, Mayfield served on the city library board and the Public Library Foundation board simultaneously. During that time, the Library Foundation's stated mission was to raise money "for the benefit of the New Orleans Public Library" and it gave between $500,000 and $900,000 each year to the city library system. But in June 2012, the three other library foundation board members – Gerald Duhon Jr., Dan Forman and Scott Cunningham – joined Mayfield and Markham to unanimously re-write the organization's articles of incorporation, expanding its mission beyond just supporting the public libraries to helping other "literacy and community organizations." They also resolved to grant powers specifically to Mayfield to "sign any and all acts, agreements, contracts, and documents that he deems fit and appropriate, all containing such terms and provisions as he, in his sole and uncontrolled discretion, deems necessary. Two of them said they followed the lead of the charismatic Mayfield. But they also told WWL-TV they never realized how Mayfield would be benefiting from those changes. Duhon said he resigned from the board in 2013 because he didn't feel he was getting enough information about what Mayfield was asking the board to approve. Duhon remembered approving money for NOJO, but he said he thought it was for NOJO to provide jazz programming in the actual public library facilities, not for it to build its Jazz Market. "That's the first I heard of that, that the money approved for programming in the libraries went to the Jazz Market," Duhon said. Markham said he and Mayfield had to make a detailed presentation to their fellow board members to persuade them the NOJO project was worthwhile. But Forman doesn't remember it that way. "I don't have any recollection of any presentation or a vote for that amount," said Forman, who has also since resigned from the board. Markham said his pitch to his fellow library foundation board members was to "think outside the box" and support the Jazz Market as a way to bring library-related services to an underserved area of town. ...Few donors expected their contributions to the public libraries to end up going to any non-library organizations, such as NOJO and the Southern Food and Beverage Museum, or SoFAB. The foundation entered an agreement with SoFAB in 2012 to grant the museum money to open and run a "culinary branch" for the library system. ...Mayfield did not grant WWL-TV an interview, citing a busy Jazz Fest schedule. But Markham did, showing the station the brand-new Jazz Market facility and touting the library-related services that it will make available to the Central City community. "Those dollars (from the library foundation) went into this facility," not salaries, he said recently as he played one of the Miles Davis jazz records the public library system is providing the Jazz Market and showed off the mostly empty area where he plans to install touch-screen computers. "You look into the computer screens that are going to come in here," he added. "And this wood; it looks great. It looks reclaimed and like it's cheap. It's not…. Money, stuff. The seats, the lighting, the air conditioning. I mean, this is like real stuff." So far, the Jazz Market has one crate of Davis records, offers free wi-fi and holds family reading and crafts activities on Friday and Saturday mornings and early afternoons, before the space reverts to a bar and jazz club. Markham said the touch screens, when installed, will connect visitors with the public library's digital catalogue. Asked about the apparent conflict of interest for him and Mayfield, Markham said they were upfront about it. "If you look at my (NOJO's IRS Form) 990, which you have, and the foundation's 990, which you have, it's disclosed," Markham said. Tetlow says it's good the pair didn't hide their interest, but disclosing it doesn't absolve them of impropriety. "Declaring a conflict of interest doesn't make it any less of a conflict of interest," she said. She said Mayfield and Markham should have resigned from one board or the other before asking for the two entities to enter into such a transaction. She also questioned how the foundation, with an endowment of just over $3.5 million entering 2012, could have spent around $1 million on grants in 2012, mostly to the NOJO. Tetlow is calling on the Jazz Orchestra to return the money to the library foundation. But Markham stands by the use of the money and insists it went to the Jazz Market project, not to his and Mayfield's salaries. "I can appreciate the story you're trying to tell, but in addition to that story, what we have here is a very forward-thinking and aggressive way to expand the footprint of the actual public library system, at no cost to the public," Markham said. "I'm a big fan of the public library system," Markham said. "I grew up in libraries, my mom's a teacher. But when we sat down and pitched it to them, we said, 'You know what? Let's get aggressive. Let's do something… crazy.'" "Outside-the-box" thinking has been a hallmark of Mayfield's library leadership ever since former Nagin named him to replace Tetlow. He used his growing musical fame to play his horn at library conferences around the country and raise money and awareness for the New Orleans system's post-Katrina struggles. He also angered some locals by replacing senior librarians and naming a non-librarian, Rica Trigs, as director. NEW ORLEANS -- One week after WWL-TV exposed questionable payments of public library donations to Irvin Mayfield's New Orleans Jazz Orchestra, the high-powered NOJO Board of Directors agreed Tuesday evening to give back the entire amount it received from the New Orleans Public Library Foundation. NOJO Board Chairman Ron Forman, the powerful head of the Audubon Institute, told WWL-TV that NOJO now must raise more private donations to be able to reimburse the Library Foundation for its contribution to the new $10 million New Orleans Jazz Market building that just opened last month in Central City. ...NOJO's last public audit showed it had a $246,000 deficit on June 30, 2014, so board members -- including Forman, Mayfield, TV journalist Soledad O'Brien, political consultant Mary Matalin and others – will have to scrounge up close to $1 million more before the money can be paid back. ..."Whatever the amount is, we will reimburse it," Forman said. "And we will reimburse the whole amount." Forman also said he and the board expect to be able to raise the money quickly. "NOJO and its Board of Directors are disappointed in misperceptions about the appropriateness of a relationship between a public library and a musical heritage, cultural and performing arts center. 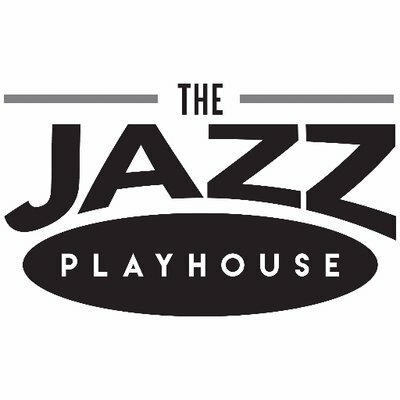 However, it is critical to our Board and to our artists to remedy any misperceptions and we unanimously chose to aggressively move forward today, return the dollars from the library foundation and immediately refocus on our mission to put jazz musicians to work, celebrate our culture, and travel the world promoting New Orleans and performing jazz music." Both Mayfield and Markham left the Library Foundation board in the last few weeks, although Mayfield is considered an "emeritus member," according to the new foundation board president, Bob Brown. NEW ORLEANS -- Fresh off a 10-nation tour and facing a federal investigation into his handling of public library donations, Grammy-winning trumpeter Irvin Mayfield has resigned as a professor at the University of New Orleans. Meanwhile, WWL-TV — which reported in May that Mayfield and his business partner, Ronald Markham, had changed the rules of the city's public library support foundation to steer at least $863,000 to their Jazz Orchestra — found archived city documents indicating that the Jazz Orchestra took a portion of a $125,000 grant for organizing the grand opening of the Mahalia Jackson Theater for the Performing Arts and used it to pay its musicians for a Jazz Fest concert and for recording the album that won the Grammy. ...NOJO spent $101,731 of its grant to pay a ballet company, a public relations firm, a graphic designer and musicians — including Irma Thomas, Jeremy Davenport and the NOJO band itself — for participating in the event. But records from 2010 also show that the $23,269 left over was used to pay its own musicians for two unrelated performances in 2009: the recording of the Book One CD that won a 2010 Grammy Award, and a Jazz Fest concert. ...Mayfield, who does not have a college degree, has been teaching a humanities class called "New Orleans as Discourse" as well as a music class. Seven students had signed up for the humanities class but nobody had registered to take the music class, said Charles Taylor, director of the music department. This caught up to Irvin professionally. In June, WWL-TV revealed that, in 2012, Mayfield billed a five-night, $18,000 stay at a Ritz-Carlton hotel in Manhattan to the library foundation; that sum included a $1,400 breakfast. In July, Mayfield resigned from the New Orleans Jazz Orchestra as its artistic director and a board member. In November they took his name off the club. Even on the final night that Irvin Mayfield played at the Bourbon Street club that has borne his name for the past seven years, he was at home. With easy smiles for his band, the Purple Disrespect, and quick calls for drinks, Mayfield sat for the last time at the organ in the tiny stage in the corner of Irvin Mayfield's Jazz Playhouse. His foot -- bare, save for a grey sock that matched his T-shirt -- pumped the instrument's pedal while a Halloween costumed crowd filled the club's seats Monday (Oct. 31). Hundreds more filed past the doors of the Royal Sonesta. If this was the final night for the club where he'd labored for the past seven years and filled with guests as notable as Stevie Wonder, he was going to go out swinging. "This is quite a historic evening," said John Diaz-Cortes, who serves as programming associate for New Orleans Jazz Orchestra, where an embattled Mayfield recently resigned as artistic director. "So yes, I'm going to be drinking a lot." The audience laughed nervously and raised their own glasses as the Playhouse mic switched hands, landing with Royal Sonesta general manager Al Groos, who watched the night's performance from a front-row table. "We just heard this is going to be the last night for Irvin tonight. I just wanted to come tonight and say thank you, Irvin," he said to additional cheers of the sentiment. "Thank you for creating all these magical moments in the city of New Orleans. ... Thank you for bringing jazz back on Bourbon Street." The Jazz Playhouse, which will continue on at the Royal Sonesta without the Mayfield name or his help in booking acts, first began when the New Orleans trumpeter was 31-years-old. It was his second foray into club promotion after a deal soured with Ray's Over the River in the months before Hurricane Katrina did her own work to wreck the place atop the World Trade Center. "After Ray's," Mayfield told music writer Keith Spera when the Playhouse opened, "I learned a lot about what didn't work. I learned it's better to do it yourself." For Mayfield, doing it himself was partnering with the Royal Sonesta and a six-figure investment. He joined the short line of musicians who have held their own on the storied New Orleans street, and the result was a beautiful, crimson club with a poster of Mayfield's face on the wall, his own name scrawled into its logo and a menu that offers things like Irvin's Milk and Cookies. For the past seven years, Mayfield has overseen and performed at the venue, which proudly boasted the partnership until cracks started showing in the musician's facade. In 2015 came the first of several reports that the musician had, as a board-member, spent lavishly from the coffers of the New Orleans Library Foundation. In the year since, additional allegations of scandal have tarnished his local stardom, a far fall for the man who had to address rumors that he was considering a run for public office when Irvin Mayfield's Jazz Playhouse first opened. Neither Mayfield himself nor the hotel's representatives have expounded upon the reason for his exit, but it's impossible to deny the past year has taken its toll. On Monday, Mayfield was subdued, saying hello to a few audience-members with his hand holding the wide base of his red wine glass like a snifter. He offered a tight-lipped smile when Groos turned his back on the pirates, Las Vegas showgirls and gladiators of the Halloween audience to tell the band to "have fun." The group covered wide ground, using songs from Michael Jackson, Al Green, Steely Dan, Gnarls Barkley and Drake to connect with the Bourbon Street crowd. Meanwhile, they traded hot solos and Mayfield called for more shots and additional plates of his namesake cookies. Later, they tried another cover, this time from Kendrick Lamar. "I am a sinner who's probably gonna sin again," Mayfield and his band sang. "Lord forgive me. Things I don't understand." Quote: According to WWL's David Hammer, multiple sources have confirmed that federal authorities have questioned them about Mayfield's involvement with the library foundation. That said, he's still performing locally. The lineup for @JazzFest was announced this morning. Make sure to catch my performance on Thursday, May 4th. Quote: ...At this juncture in my life, I have made the decision to step down from my post as Artistic Director of the New Orleans Jazz Orchestra, effective immediately. I will turn my focus to my first love -- music. To the New Orleans Jazz Orchestra, which remains dear to me, I wish much success in the future. I do not believe that I have violated any law. If I played a role in creating a distraction from NOJO’s mission, I sincerely apologize. I respect all those who may not agree with my past direction or personal judgement, as I recognize their passion as well. We did not anticipate the misunderstandings and resulting opposition that has been wrought upon ourselves and those who have supported us. We hope for a time when we can all focus on what is here and how it can best serve our community. I will always be committed to a shared purpose of improvement for myself and this place we all love -- New Orleans. Wonder if this will be another occasion where a Haley performance (or two) will be lost into the ether? That was in August. I think the album will be released. Hashtags seem to indicate its themes or $ beneficiary might help rebuild his rep within community. It's Playtime. Royal Sonesta New Orleans hotel proudly presents The Jazz Playhouse featuring live music 7 nights a week! Quote: Jazz musician Irvin Mayfield was indicted Thursday (Dec. 14) by a federal grand jury on 19 counts including fraud, conspiracy and money laundering. - A 24-karat gold-plated trumpet in December 2012. Authorities say $15,000 was transferred for that expense. Quote: In 2016, WWL-TV obtained an internal report by the new Library Foundation’s attorneys showing that Mayfield had also sent $150,000 in library donations to an “Irvin Account” at another nonprofit called the Youth Rescue Initiative. The report found Mayfield spent $15,000 of that money on a single trumpet, ostensibly to donate it to a local school, but the Library Foundation attorneys alleged Mayfield likely kept the instrument for himself.